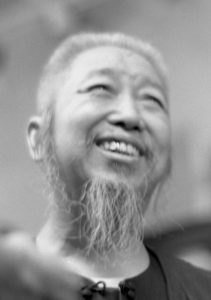 Cheng Man Ching is portrayed by his students as an example of total dedication and commitment to the Chinese Arts, especially concerning Taijiquan. 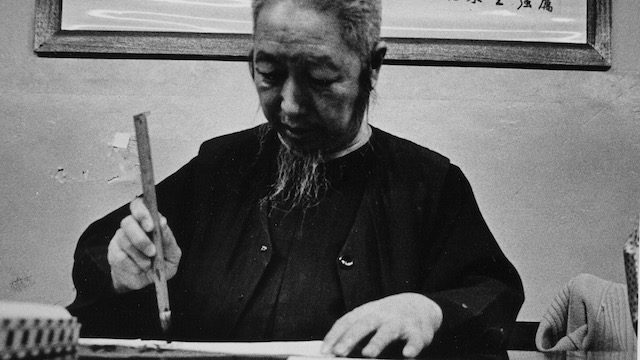 Indeed, while also advocating the health aspects of Taijiquan and its use for self-defence, Cheng Man Ching saw the aspect of self-cultivation in Taijiquan as a separate important task. He drew a strict line between practising, repeating, copying and real self-cultivation. The latter for him did not automatically come along as an extra bonus. Self-cultivation lies beyond the physical or mental benefits of Taijiquan and the discussion about its (im)practicality for self-defence. Following the dao of Taijiquan requires perseverance and serious study in its own right. Cheng Man Ching himself observed that disregarding functional applicability while learning Taijiquan creates at best artificial health benefits. One is tempted to add that to expect the maturity of character to develop just by religiously training body and mind in form and partner exercises might prove to be an equally artificial attitude. TAI CHI CHUAN HAS NO OPINION. IT HAS NO INTENTION. IT IS AN IDEA WITHOUT MOTIVE. IT IS AN ACT WITHOUT DESIRE. IT IS, PROPERLY, THE NATURAL RESPONSE TO AN OUTSIDE FORCE, NOT BEING PERCEIVED AS SUCH. FOR IN NATURE, ALL ARE THE SAME, EVERYTHING IS ONE. THAT WHICH ATTACKS IS THE SAME AS THAT WHICH RESPONDS, THE SAME FORCE – REDIRECTED AND RECYCLED. WHEN YOU INITIATE AN ILL-INTENTIONED MOVE, IT COMES BACK ON YOU. THE PRINCIPLES OF TAI CHI ARE THE SAME PRINCIPLES BEHIND THE INNER MECHANISM OF THE GREAT ENGINE OF THE UNIVERSE. Ken van Sickle is reading the poem of his teacher Prof. Cheng Man Ching. You will find more related posts on this website. See also our Youtube channel for playlists on Cheng Man Ching Tai Chi Chuan and Ken van Sickle.